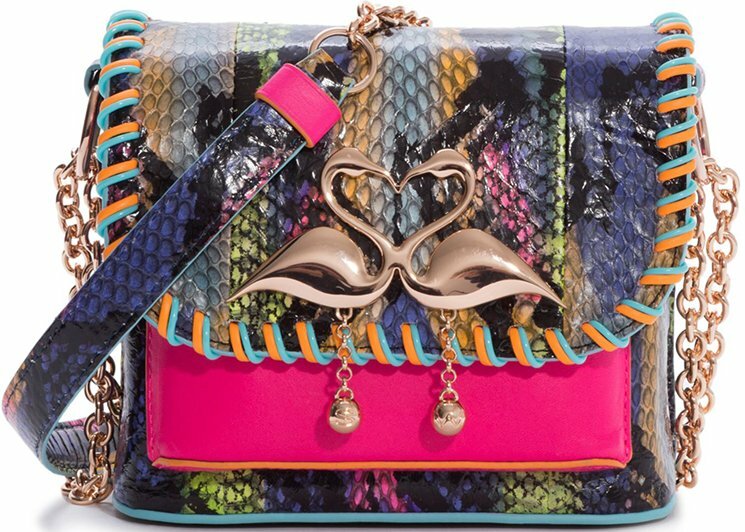 Sophia Webster knows the way to our hearts by making irresistibly gorgeous bags and these Mini Claudie Pom Pom Bags are no exception! 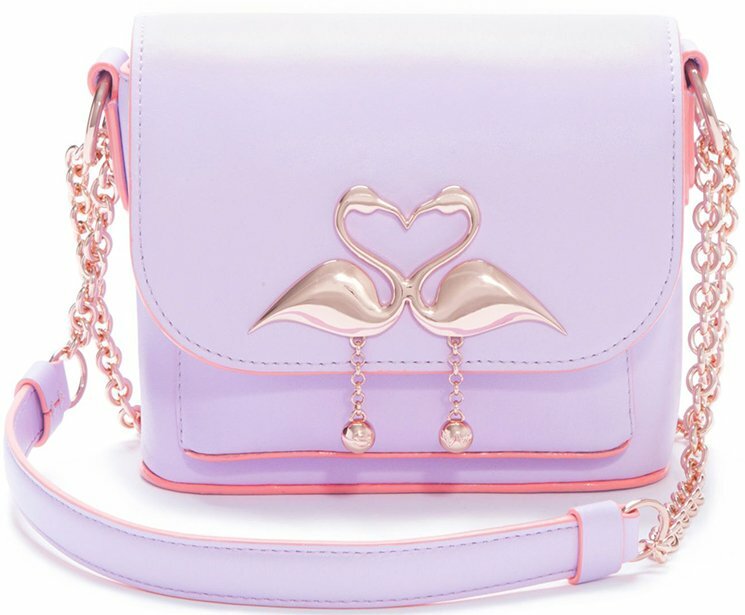 Oh, if we could just own all these bags we’ll surely be floating in bag heaven any time soon. 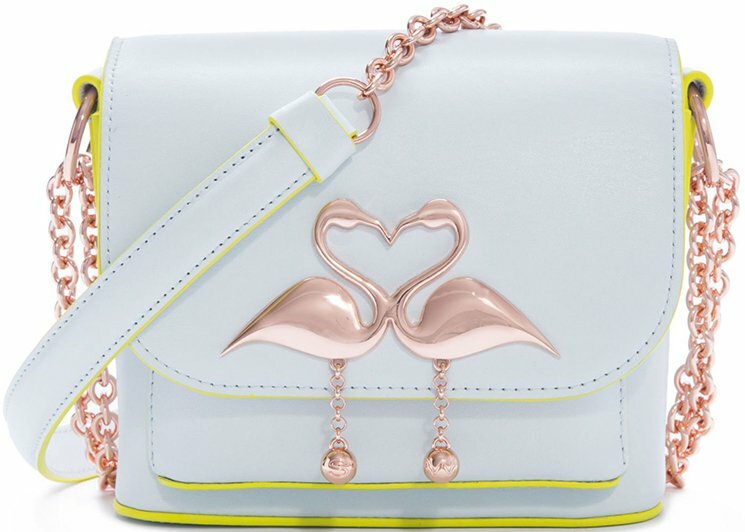 There are 7 Sophia Webster Claudie Pom Pom Bags that you can choose from but this one in Orchid bouquet leather finished with gold chain and flamingo fastening made our hearts skip a beat. It’s more like love at first sight and why not? It’s too lovely not to notice. 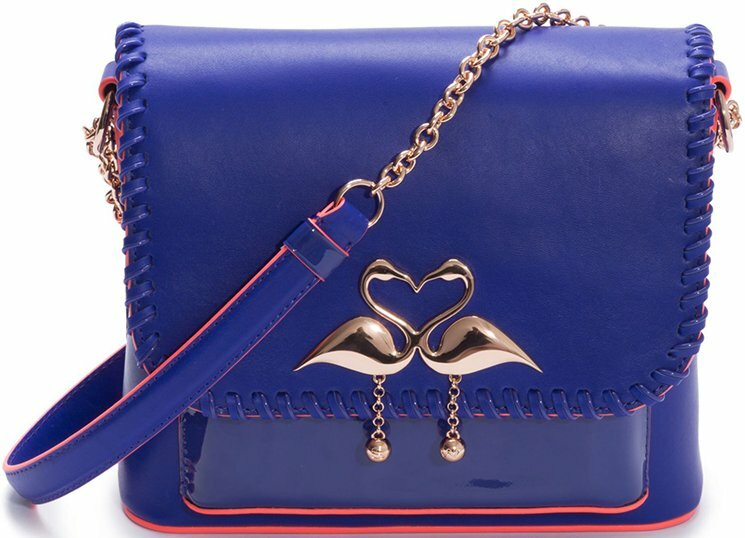 A flirty bag that will definitely add that punch of panache to your everyday casual ensemble, what more can you ask for? Seriously? 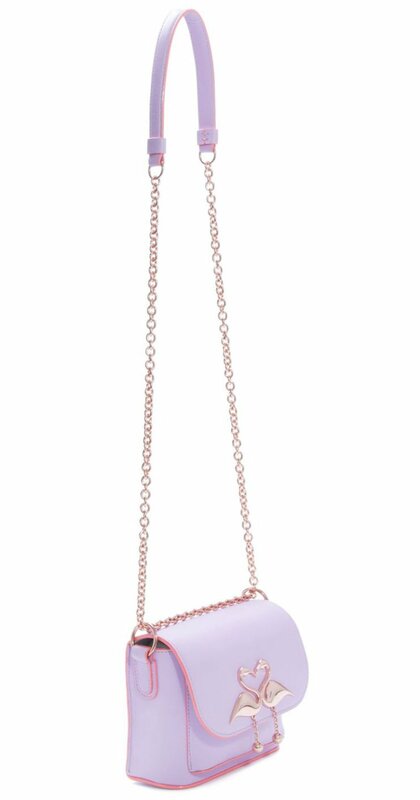 With its lovely feminine orchid color, this one will surely brighten your outfit. 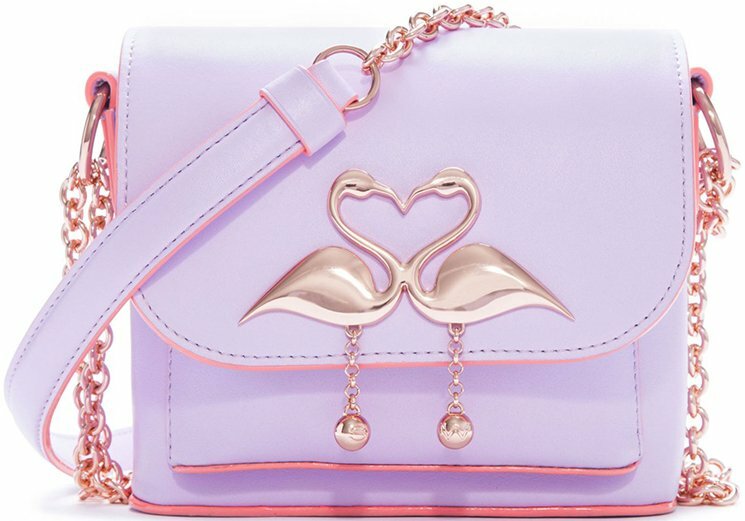 We love the two flamingos in the middle and the golden chain shoulder straps that make it all the more captivating in our eyes! 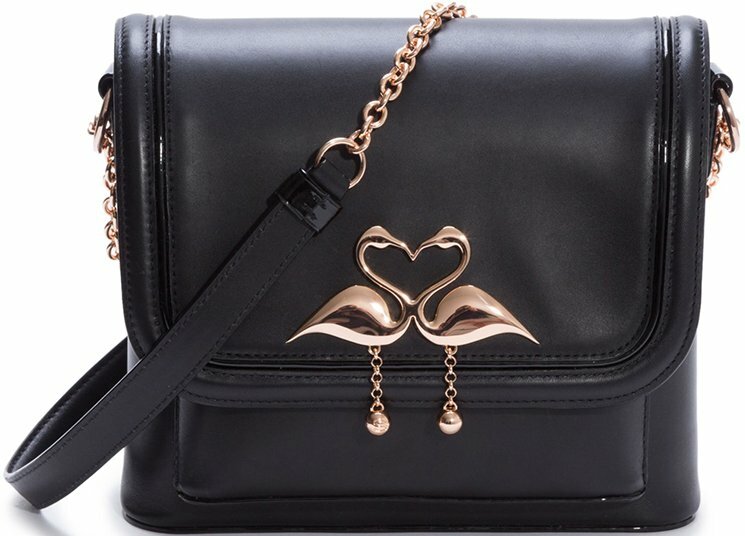 Beauty is really in the eyes of the beholder because this bag sure knows how to handle itself confidently. Measuring 17 x 15 x 9 cm (W x H x D) and is priced £395 GBP to £525 GBP via Sophia Webster online store. 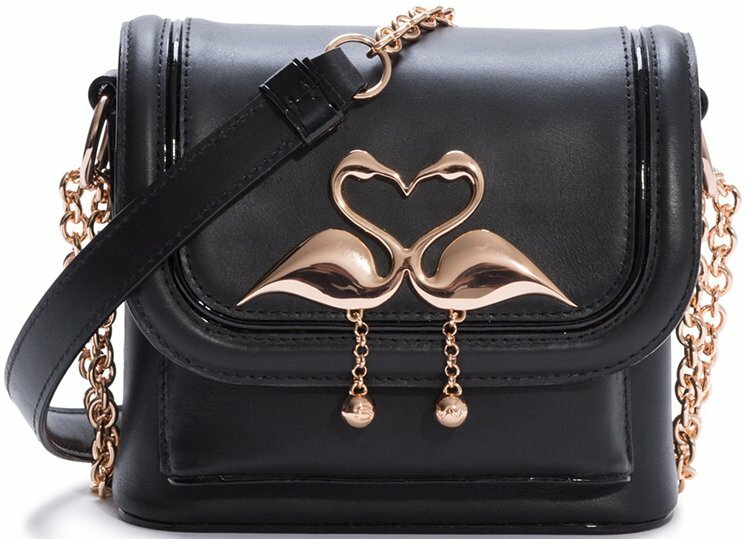 Grotesque, pop-goth-inspired accessories and a clothing section that seems to be specifically designed for all the Corpse Brides out there: the latest Sophia Webster fall 2016 collection is definitely Tim Burton-approved. Unveiled at London Fashion Week at the chapel of Soho’s House of St Barnabas, Webster’s collection is literally destined to claim fashion victims, just to bring them to life again and make them wear some of the quirkiest shoes ever created. Webster, who quickly made a name for herself after starting her own eponymous shoeline in 2012, is slowly exploring the lands of ready-to-wear and accessories as well, focusing on graphics, richness in texture and an unconventional point of view on the fashion industry. As for the clothing pieces, Webster turned to British designer Meadham Kirchhoff for help, who definitely proved being in tune with the overall collection’s allure. British-born Sophia Webster, trained under footwear designer Nicholas Kirkwood, took the Eighties subcultures as the main sources of inspiration for her fall 2016 collection, reinterpreting their iconic motifs with pop-culture references. Webster specifically took Lydia Deetz, starring Winona Ryder in Beetlejuice (a.k.a the Goth Girl par excellence in the collective consciousness) as her muse. “The collection is totally inspired by my favourite Tim Burton movie Beetlejuice, and the character Winona Ryder plays, Lydia Deetz. She is the muse for the collection, that’s the character that models are embodying. Then we have the corpse bride, who at the end of the film disintegrates into butterflies,” she told Refinery29 after the show. Those who are fond of Tim Burton’s character will instantly spot manyCorpse Bride and Beetlejuice references in this collection, reflected on the color palette (the lineup in mainly dark-toned and often displays contrasting, patterns such as black and white) and the materials used (she often combines velvet with metallic inserts). Webster, who often prefers candy colors, enjoyed the darker side of fashion too, managing to maintain her true essence as a fashion designer using bold pink, yellow and light-blue bursts of colors. Embellished with butterfly and floral patterns designed by London-based installation artist Rebecca L. Law, the Sophia Webster shoes for fall 2016 feature everything from chunky ankle boots to lace-up booties, from slippers to high-heeled sandals, the latter of which definitely landed in the spotlight. Rebecca L Law’s adornments come in various bright colors and different kinds of appliqués, ranging from sequined motifs to big vibrant gemstones. Lace inserts, both in black and scarlet red, reinforce the whole Beetlejuice revival concept. Clutches and squared mini handbags are the collection’s key pieces, and are very likely to become the lineup’s most sold out pieces. Alternating rectangular-shaped clutches with comic clouds, she gave her fans some appealing options to play with, whether one likes to make a statement through a glittery accessory or fun messages on the accessories, such as ‘Drop Dead Gorgeous’ or ‘Bored to Death’ (which is actually my favorite).